Quiz goes above and beyond in terms of style, quality and price, and one of the reasons why they've fast become one of my favourite fashion brands. Recently, Quiz have launched an exciting new range of clothing called Get Glamorous that features model Chloe Lloyd. The Get Glamorous range definitely sways more towards occasional wear, with lots of pieces being perfect for wedding wear - I for one have seen 2 dresses that would be perfect for my own bridesmaids. 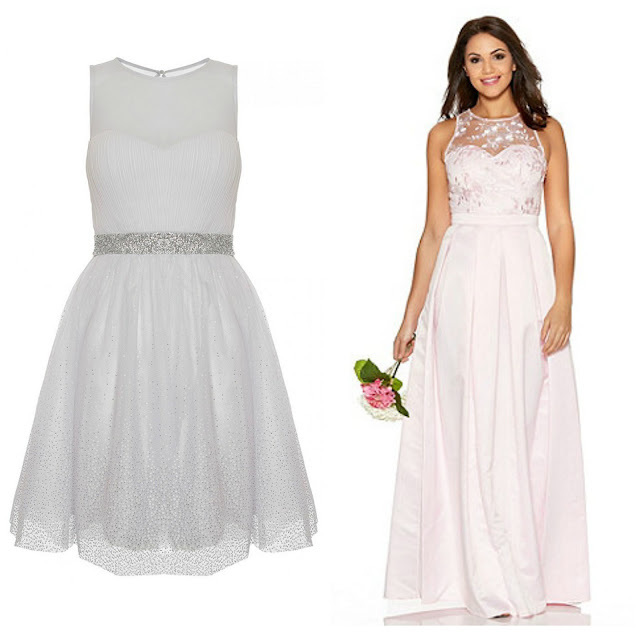 These 2 dresses go perfectly with the colour scheme of my upcoming wedding. I think the prom type dresses would be great bridesmaid dresses for the tween/teen bridesmaids of our wedding. The maxi dress is perfect for our 2 older bridesmaids, although everyone seems to be going crazy for this beauty and sizes are limited. 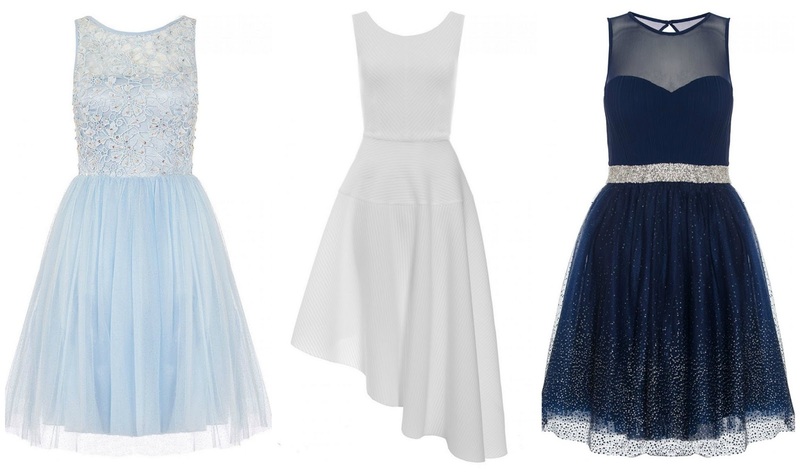 The Get Glamorous range is super pretty and I really love so many pieces, but I especially love the navy and silver chiffon glitter prom dress and wouldn't mind treating myself to that at some point. Everything is ultra glamorous and perfect for any upcoming wedding's or parties. Quiz are giving you the opportunity to win £500 to spend on anything that will make you feel glamorous at Quiz, plus get your nails done for a year. All you have to do to enter is simply sign up to their newsletter. Quiz is widely available online and at selected Debenham stores.